Don’t worry, the solution is in the box! Here’s my comparison of an “old” iPhone’s headphone jack and the new Lightning to headphone jack adapter Apple is including with iPhone 7 / 7 Plus. So, do these work the same? Apple is including two headphone-related items in the iPhone 7 and 7 Plus packages, a set of their standard EarPods now with a Lightning connector as well as a 3.5mm mini plug to Lightning adapter. The Lighting connector is the little flat tab-shaped jack you use for charging and syncing. You’ll just plug your favorite earbuds/headphones into the adapter. Will it sound the same as before? Do the microphone and controls work the same way? I am impatient, and am still paying for my old iPhone, so I decided not to wait to be an iPhone 7 owner to find out. First, to test this on my trusty iPhone 6, I upgraded to iOS 10. This was required because iOS 9 and earlier don’t support this new adapter. Second, I compared each way of connecting with both Apple’s standard EarPods (the old kind with a headphone jack and inline mic and controls) as well as my beyerdynamic T 51 i headphones. If you wonder what’s inside the adapter, it’s a full-blown digital-to-analog convertor (DAC) and amplifier. The same goes for the new Lightning EarPods. So I would expect comparable performance and functionality to the regular iPhone headphone jack. 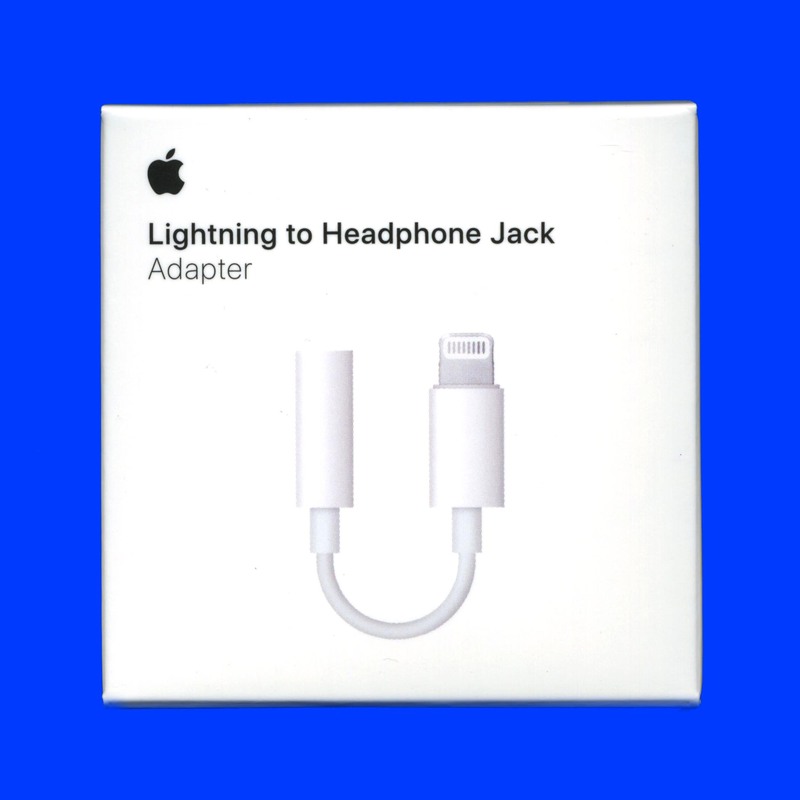 How does the Lightning headphone adapter sound? Frankly, it sounds pretty much the same. It plays as loud, and with the same gain (same level for a particular volume control setting). Interestingly, the traditional headphone jack and the Lightning jack each have their own remembered volume level, depending on which one you are using. Of course I had to play my favorite reference song, Oil Express from the Greatest Hits, Vol. 2, of Wesley Willis. With either jack, the delicate melody and sensitive words are comparable. If anything, the old fashioned jack can play just a tad louder, but I wouldn’t put money on it. I also tried high resolution source material, including a stereo 96/24 .wav file conversion of the Grateful Dead’s American Beauty DVD-Audio disc, played through the Onkyo HF Player app. Again, it sounded comparable on the two jacks. Yes, these worked normally. You can use the adapter with pretty much any earbuds, earphones, headphones, etc. ever made. 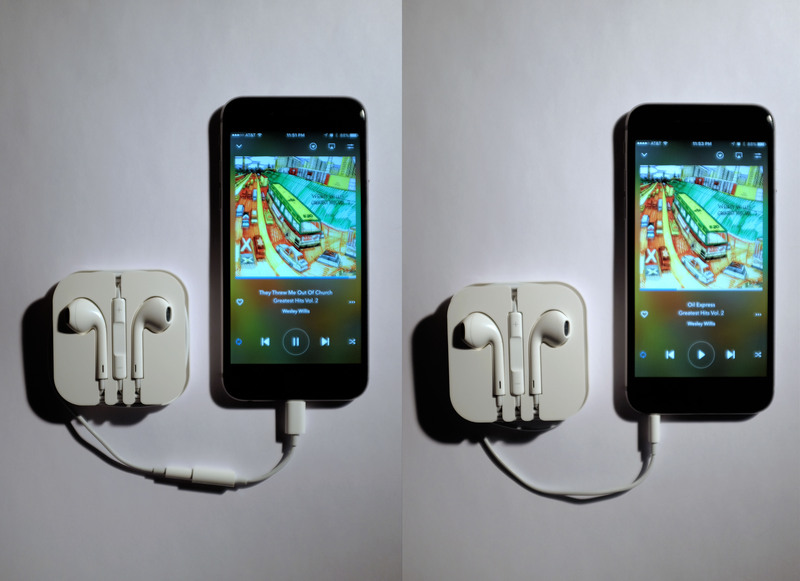 If they are designed with a microphone and controls that work with the “old” iPhone jack (not Android), these functions will work fine through the Lightning adapter. I confirmed this with both the Apple and beyerdynamic headphones. You can’t charge and use the adapter at the same time. You’ll be able to, soon, when you buy one of many adapters that surely will be released by accessory companies. Also, having the connector protruding is a pain, especially if your current earbuds have a right angle connector. To Apple’s credit, the tiny adapter’s cable is very flexible. In future blogs I’ll consider alternatives – all of them wired digital solutions that promise higher performance. These are portable digital-to-analog converter (DAC) + amplifier combinations from companies like ARCAM, Fiio, and Oppo. Watch this space! Of course the alternative is to go wireless, which you might be doing already, with a set of Bluetooth headphones. I’m not wild about the limitations presented by forcing me to cross-code music formats or making me keep yet another device charged. I’ll stick to wired headphones, thanks. This entry was posted in Product Design, Reviews and tagged Apple, beyerdynamic, iPhone 7, iPhone 7 Plus, Lightning by Stephen. Bookmark the permalink.